Much excitement here at A Glug of Oil since I've been asked if I'd form a partnership with STOVES, the UK's largest and best-loved cooking brands. They're also the only manufacturer that builds freestanding cookers, built-in ovens & hobs and range cookers right here in the UK. So what does this partnership mean? Well, I'll be creating recipes for Stoves, and getting involved in campaigns and running giveaways for my readers. Stoves recently installed this fantastic oven and hob so I'm now having fun playing with it even though I don't want it to get dirty! The STOVES Sterling 600MF is a 9 multi-function electric fan oven and grill. With a usable capacity of 58 litres the oven is big enough for cooking pretty much anything. The 2 shelves are easily removed and there are 5 shelf positions. A rear light ensures you can see how your cooking is coming along. The interior is easy clean enamel - that said I haven't as yet had to actually clean it so I can't comment on how easy or not that is. The drop-down door opening makes it easy to check on your cooking. There's an LED clock/touch programmer which is blue. It has a fixed rate electric grill with conventional or fanned electric oven and an energy rating A.
Oh yes, I'm loving this oven! Conventional Grill, Fanned Grill, Conventional Oven, Top Heat Only, Base Heat Only, Fanned Oven, Fan and Base Heat Only, Intensive Bake and Defrosting and Cooling. Defrost mode is great for defrosting foods such as cream cakes - you just select Defrost and with the door closed your cakes will defrost mush quicker than if just left out on the worktop. You can also use this function to cool dishes down prior to refrigeration. Oh wow, this is just brilliant. 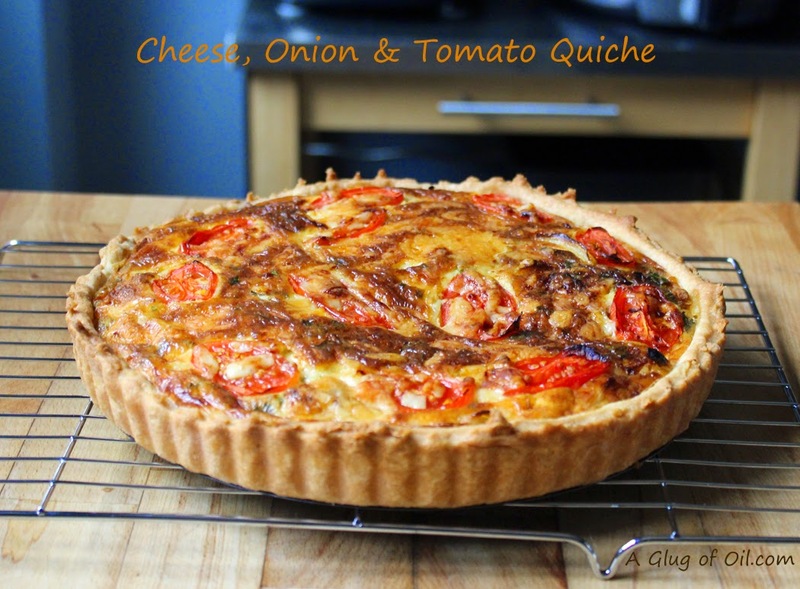 Intensive Bake is great for foods with a high moisture content such as quiche and eliminates the need for baking blind. And yes it works, I baked this quiche using Intensive bake and let me tell you there's no soggy bottom to be found here! Perfectly crisp pastry and properly cooked though without the faff of having to part bake the pastry (which is one of the things that puts me off of all this baking lark) before adding the filling. With intensive bake all you do is line your quiche or tart tin with pastry, pour in the filling and cook for 25 minutes. I'll post the recipe in a separate post and add a link here when done. I was originally going to have an Induction hob but when Stoves came to have a look at our kitchen it turns out the electrics would have to be altered (big long story) so it was decided that gas was the way to go. I previously had a gas hob anyway so I'm used to it and love it. 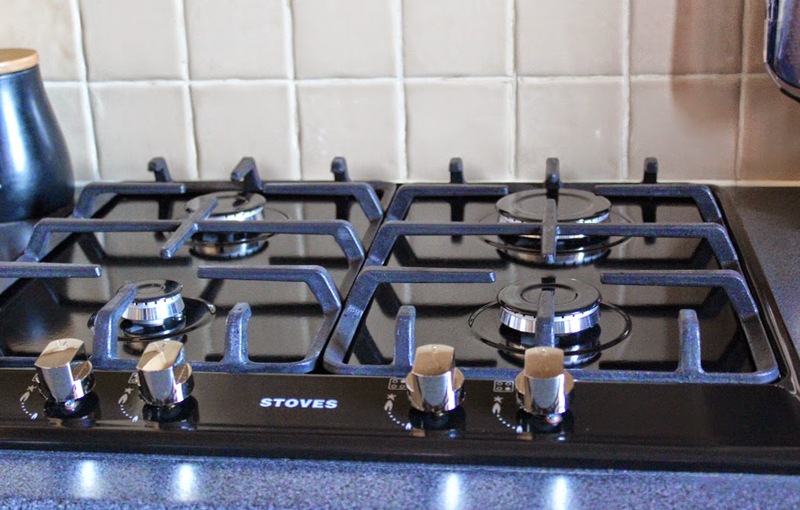 This hob is rather nice looking - I love the cast iron pan supports and shiny knobs! Okay as you will appreciate there's not much that can be added to a review on a gas hob so all I can add is one of those marvelous a microfiber cloths works wonders at keeping it nice a shiny! By the way, the cast iron pan supports have rubber feet so as not to scratch the hob itself. 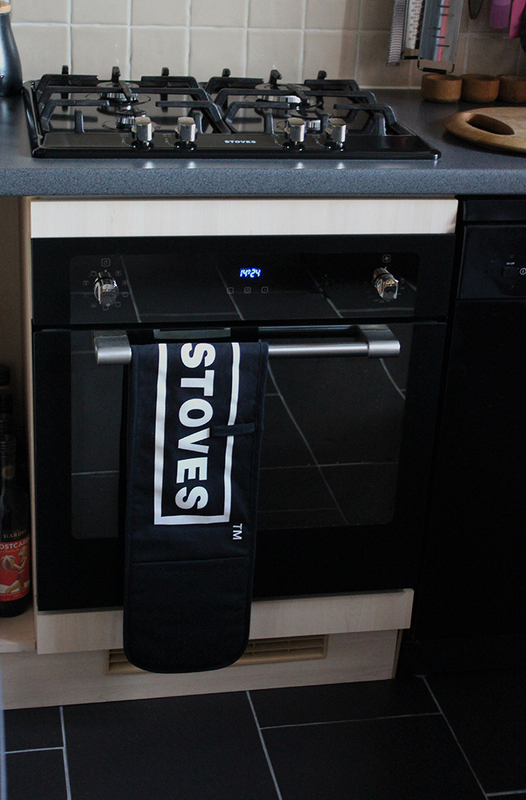 Now I'm all set with my fancy oven I'm so looking forward to working with STOVES! You can find out more information on Stoves and their products by popping over to their website here. Disclaimer: Stoves supplied and fitted this oven and hob. All thoughts and opinions are my own. I was not required to write a positive review. How exciting to be working with Stoves and Brian Turner. I hate my oven as it has a hot spot towards the rear left so if I don't turn things they burn in that corner even though it's a fan oven. I'll be interested to hear how your new Stoves one performs as it's not a brand I know anything about! That oven sounds amazing Jan. Look forward to seeing the recipes you develop. Well done, Jan - that's a great partnership! And it's sooooo shiny and clean - it's a bit like a new car that you don't want to scratch ;) Enjoy putting it through it paces! Hi Kavey - apparently the Intensive Bake option uses base and top heat with fan. Marvelous! Wow, this looks great and I'm keen to hear more about how you use the intensive bake feature.